Aral Balkan by Geri Coady, released under a Creative Commons Attribution 2.0 Generic licence. In my opinion this is a must-see talk by Aral Balkan of Indie Phone who we have briefly mentioned before on the blog; watching this many things fell into place for me – of course the business model of many services depends basically on spying on the users and then selling that data, then telling the users they are getting the service for free. The title of the talk ‘Free Is a Lie’ tells you what Mr. Balkan’s opinion is on that subject. But he also addresses the less talked-about but equally important topic of the lack of user-friendliness and experience-driven (as opposed to feature-driven) design when it comes to Open Source alternatives to the extremely usable mainstream data-mining options. 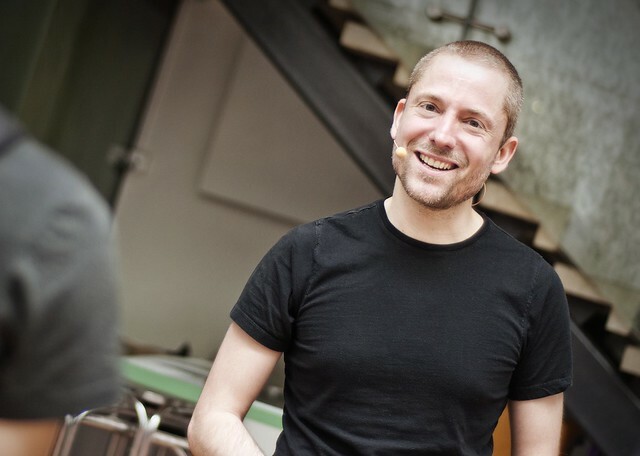 Designer and social entrepreneur Aral Balkan believes it is time to build an alternate future where we own our own tools, services, and data. And to do this we must create a new category of design-led, experience-driven ‘technology’. Free is a Lie from The RSA on Vimeo. Excellent talk! How pervasively our data is being “mined” … for free.